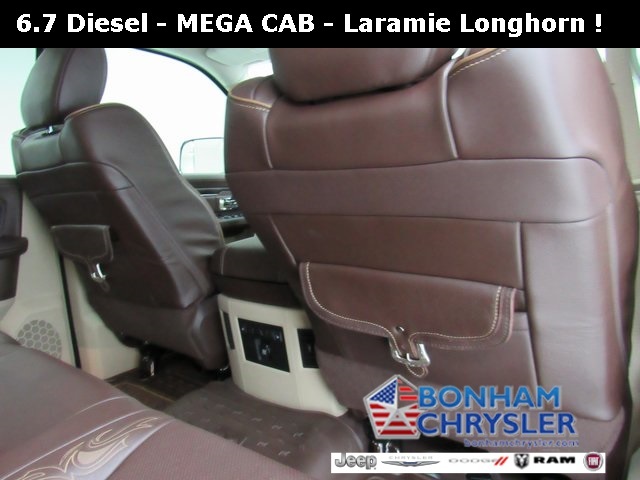 NAV, Heated/Cooled Leather Seats, Turbo, Alloy Wheels, 4x4, Heated Rear Seat, TRANSMISSION: 6-SPEED AUTOMATIC (66RF. 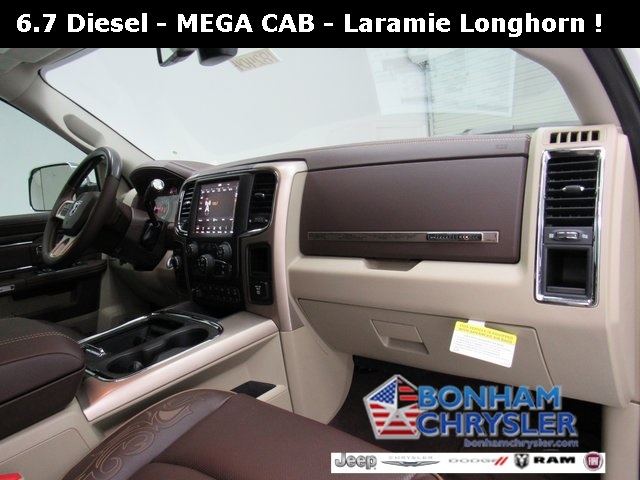 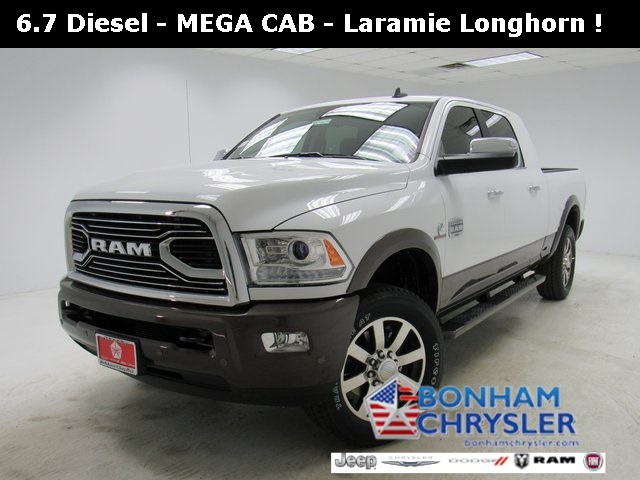 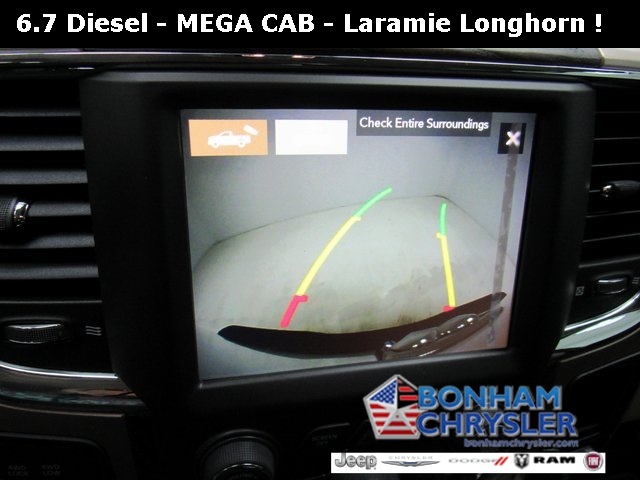 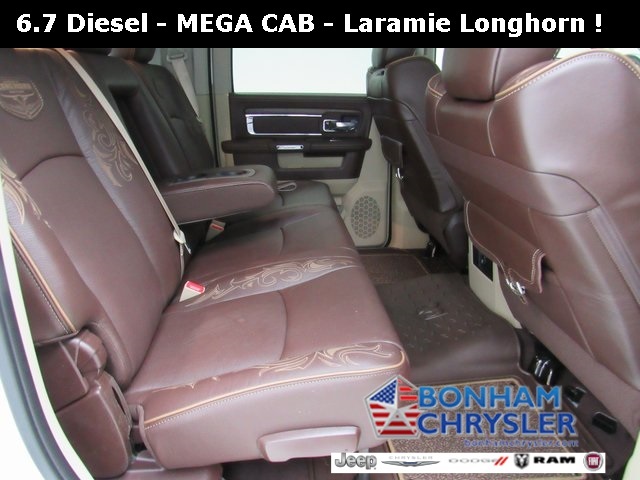 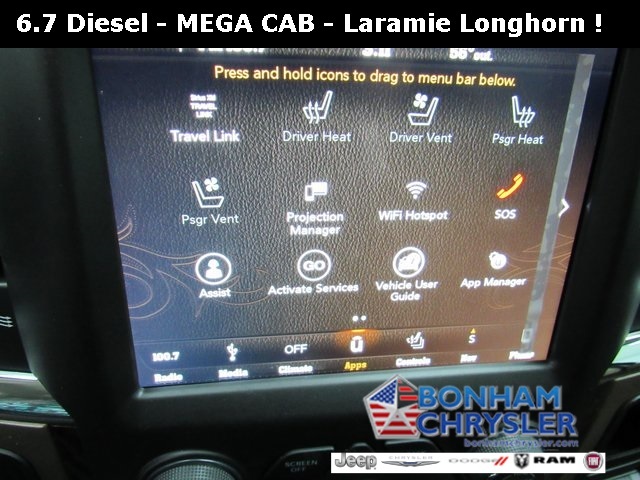 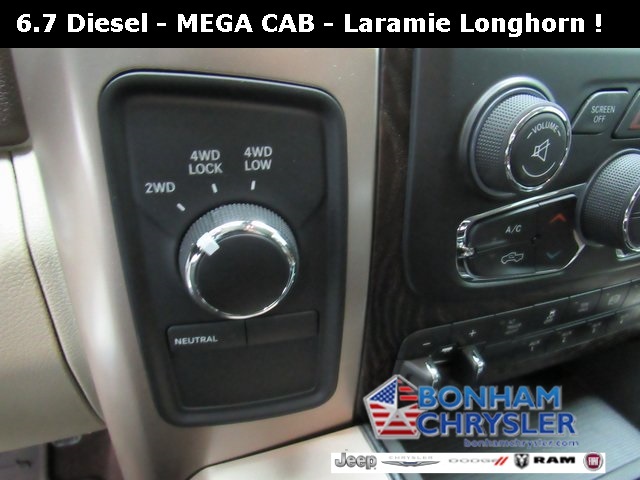 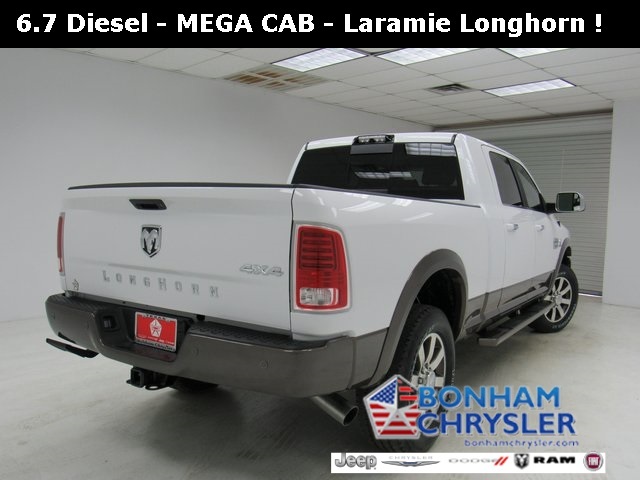 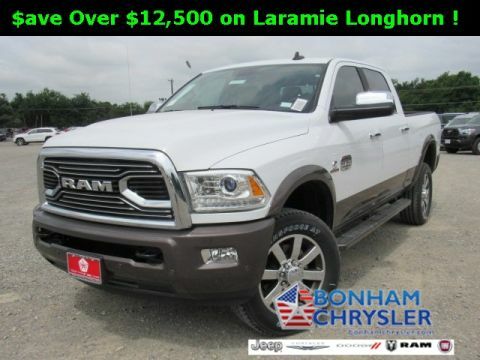 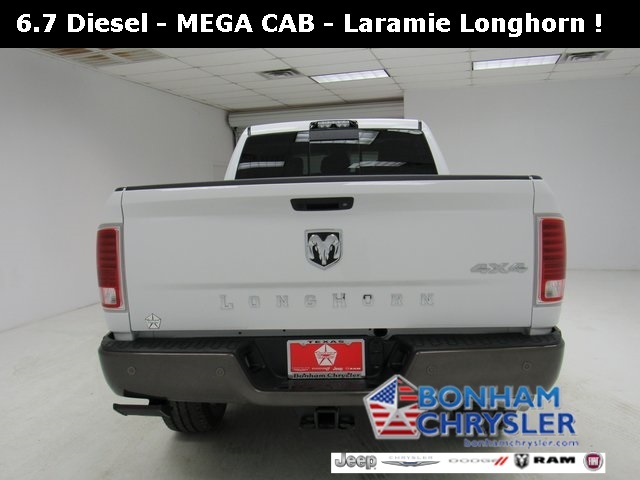 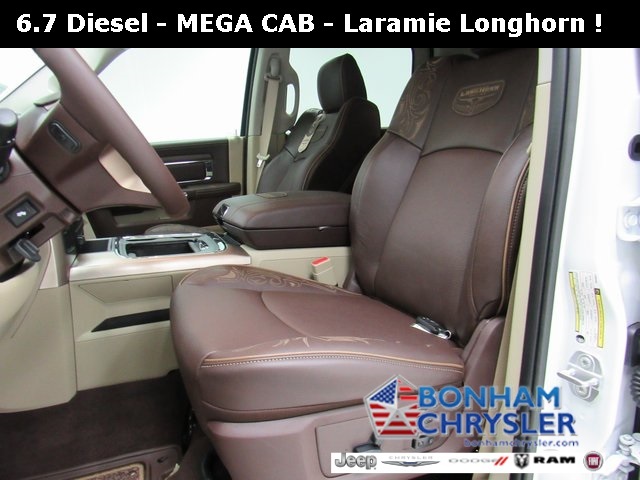 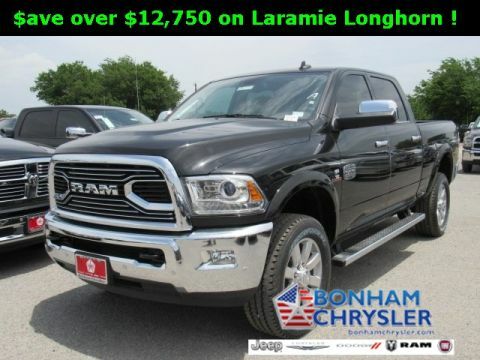 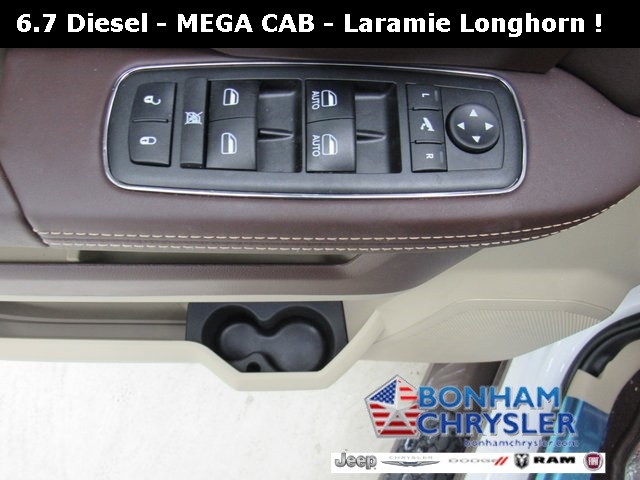 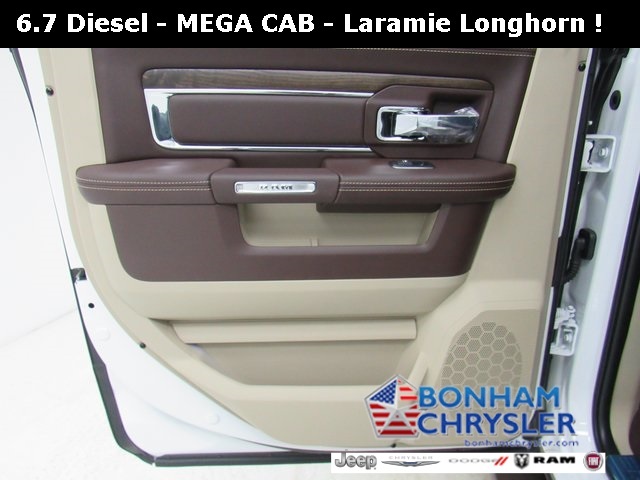 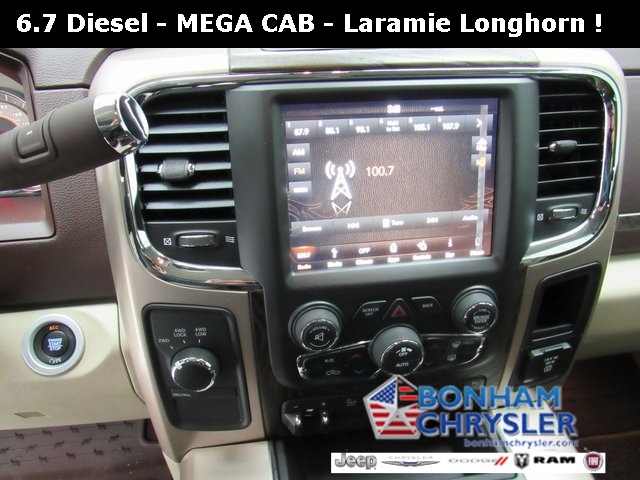 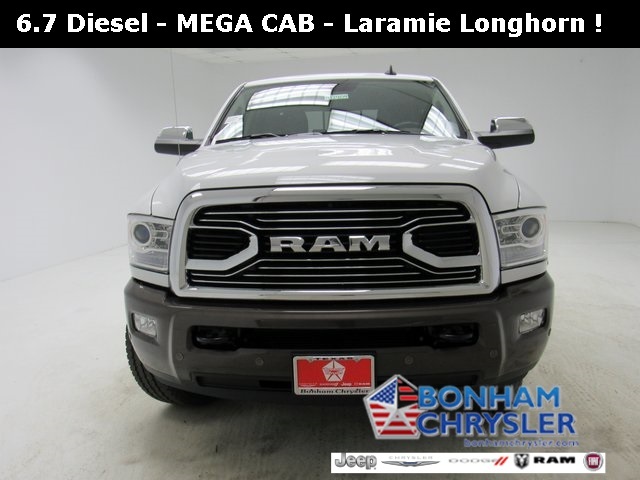 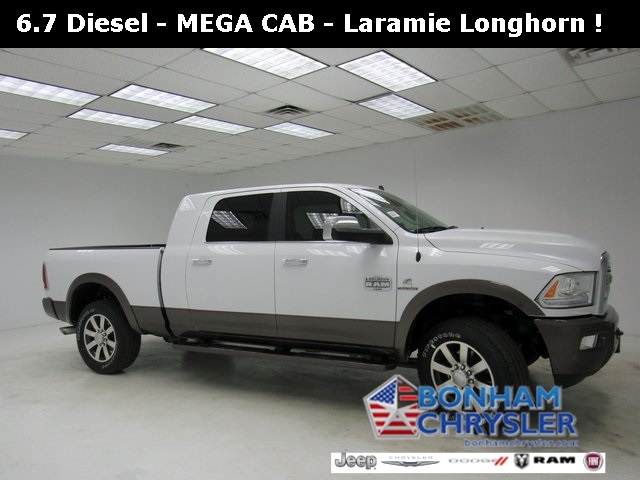 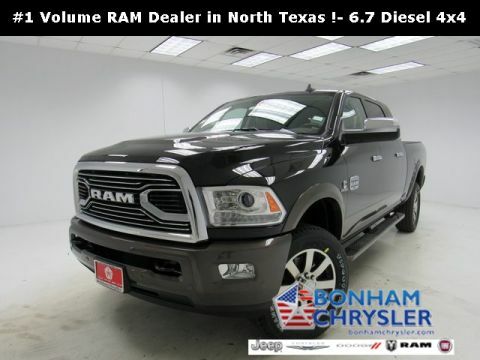 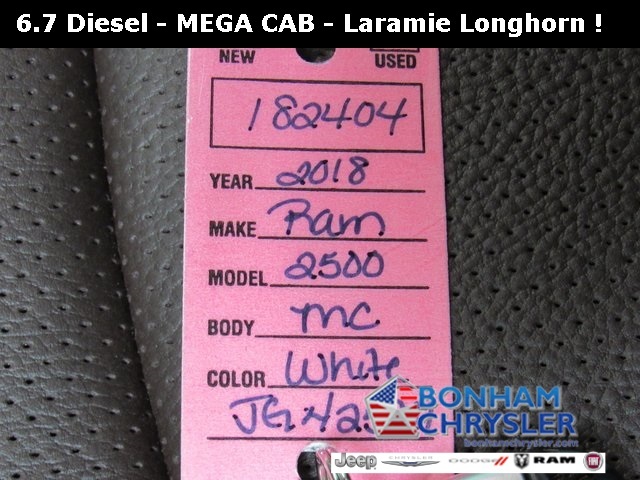 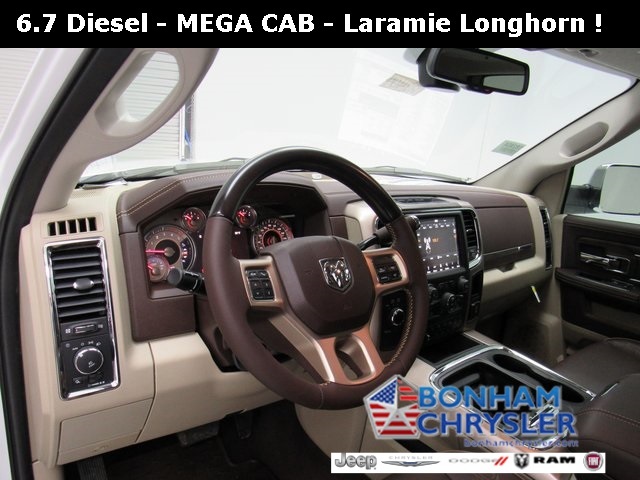 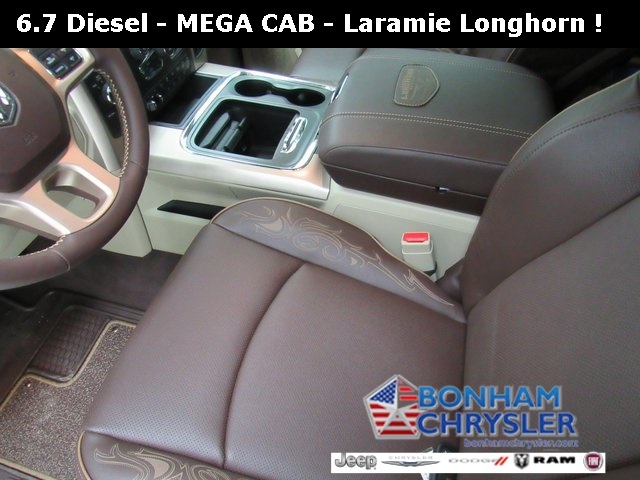 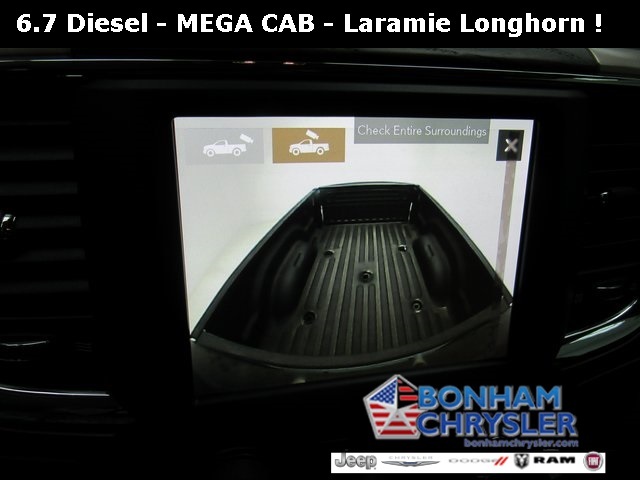 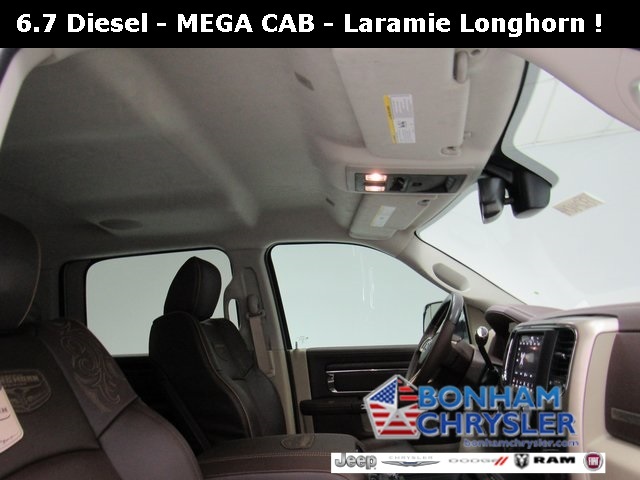 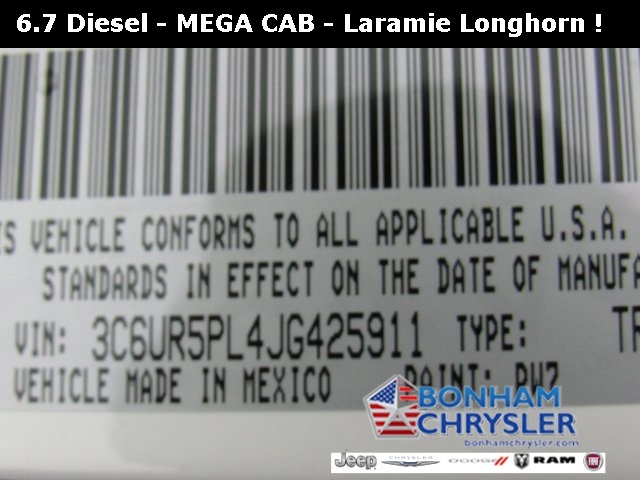 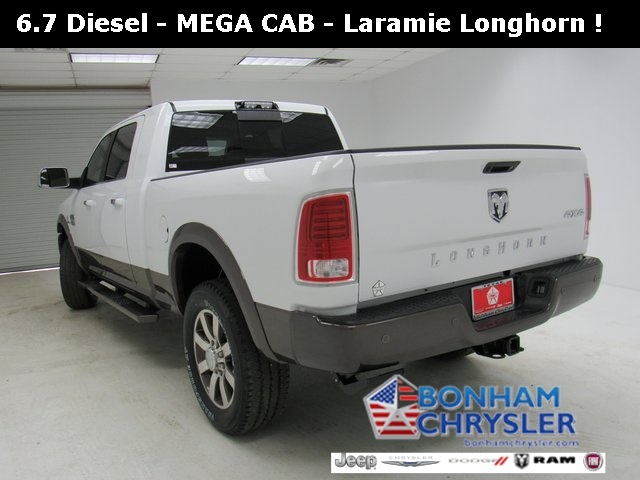 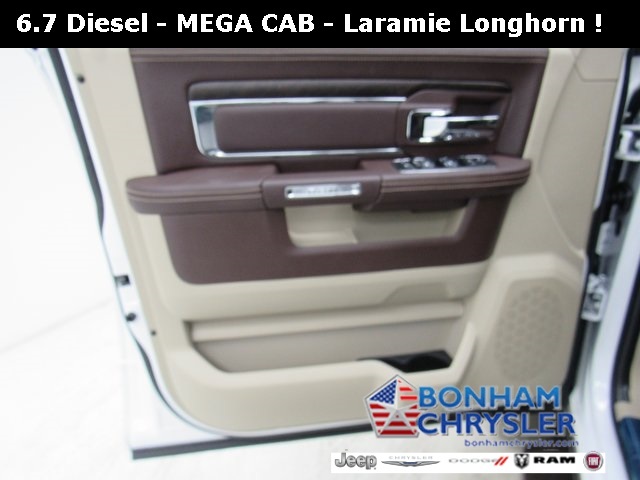 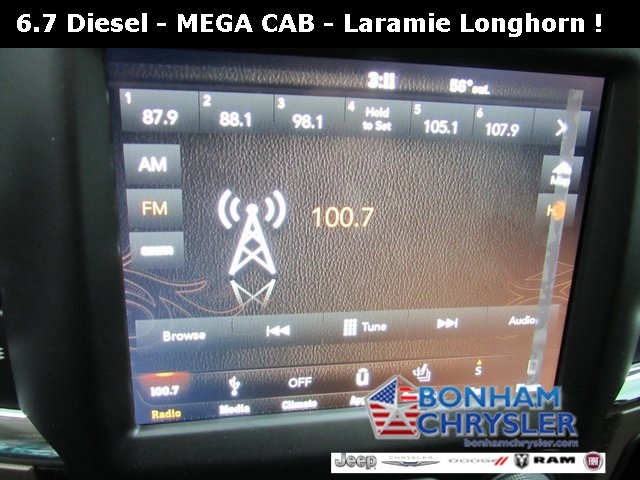 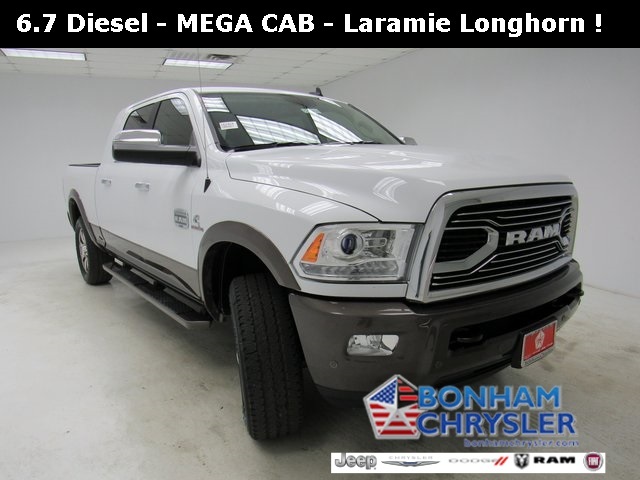 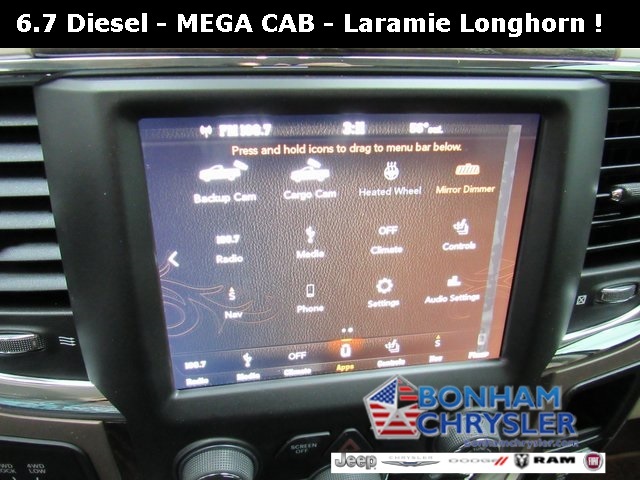 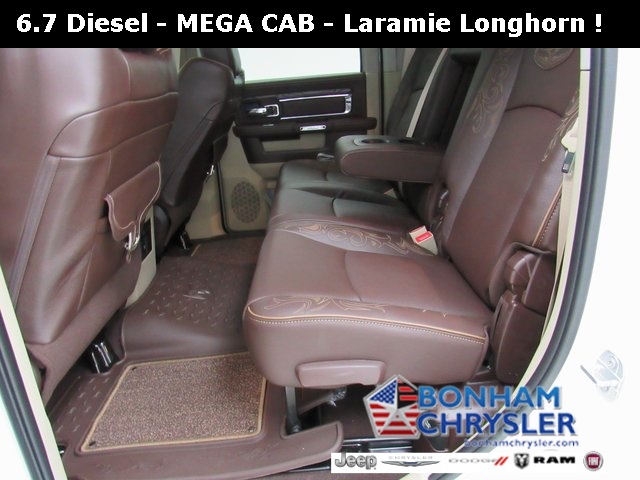 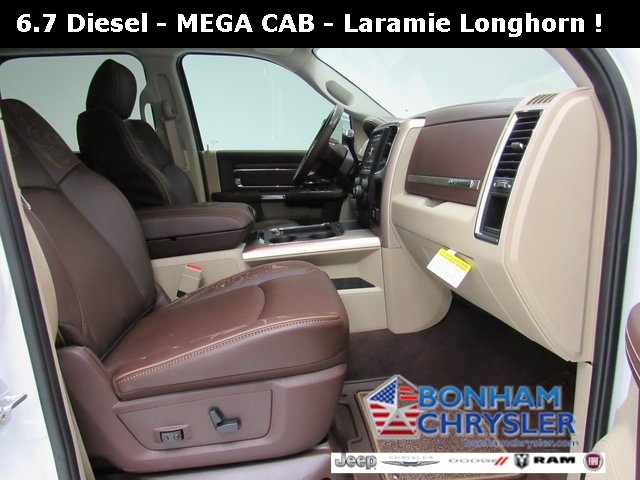 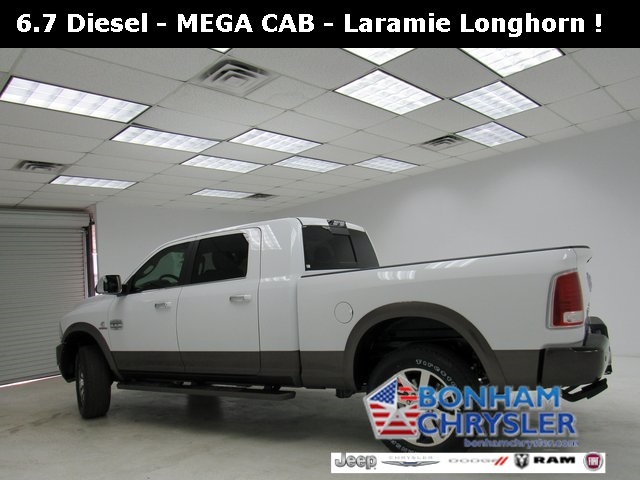 ANTI-SPIN DIFFERENTIAL REAR AXLE, LARAMIE LONGHORN RAM RODEO EDITION, CONVENIENCE GROUP, Bed Liner, Tow Hitch. 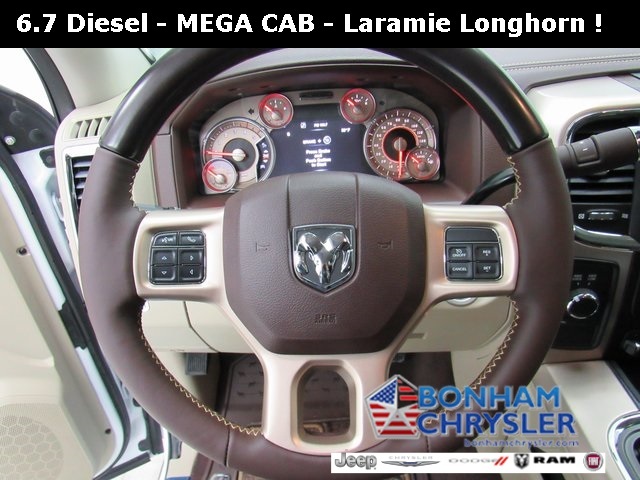 ENGINE: 6.7L I6 CUMMINS TURBO DIESEL Cummins Turbo Diesel Badge, Current Generation Engine Controller, Diesel Exhaust Brake, Selective Catalytic Reduction (Urea), 180 Amp Alternator, RAM Active Air, LARAMIE LONGHORN RAM RODEO EDITION Suede Headliner, Auto Level Rear Air Suspension, Transfer Case Skid Plate Shield, CTR Stop Lamp w/Cargo View Camera, Longhorn Tailgate Letters, 5th Wheel/Gooseneck Towing Prep Group, MOPAR Rear Bumper Step Extension, ANTI-SPIN DIFFERENTIAL REAR AXLE, CONVENIENCE GROUP Auto High Beam Headlamp Control, Rain Sensitive Windshield Wipers, KEYLESS-GO Remote Proximity Keyless Entry, POWER FOLDING CHROME TRAILER TOW MIRRORS Trailer Tow Mirrors, TRANSMISSION: 6-SPEED AUTOMATIC (66RFE) (STD).